Nord has released a shiny new set of Piano Monitors engineered to make the most out of Nord electric pianos. Nord states that the new system is a natural extension of their instruments and that they enable players to “experience the true character of our renowned piano sounds”. 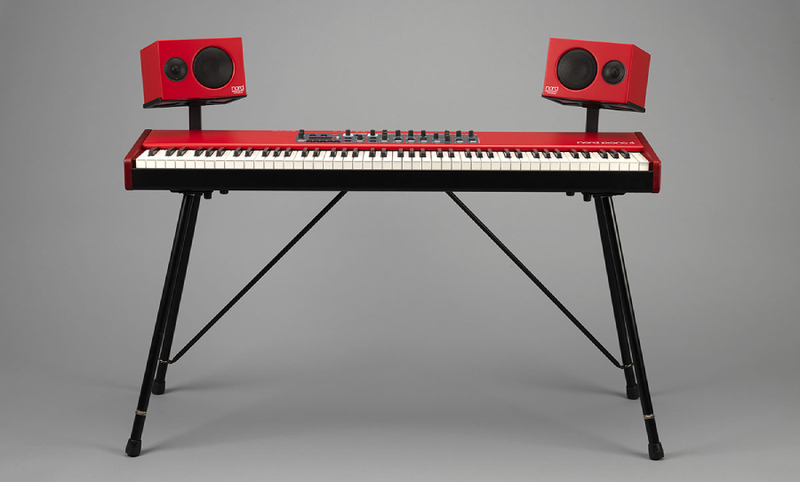 Nord’s new 80-watt Piano Monitors System is the perfect companion to your keyboard. And, yes they come in Red. Nord states that their piano monitors are optimised for nearfield listening and offer “impressive depth and dynamics”. The new speakers each boast 80-watt, a 3/4 inch tweeter and a 4 and 1/2 inch subwoofer. They can be mounted via optional brackets to the Nord Piano 4 or you can simply attach them to standard mic stands. Also included is a second auxiliary input so that you can connect another instrument to jam or connect a laptop or smartphone to play along to. Nord states that the new speakers should be available come autumn, just don’t ask for a different colour. 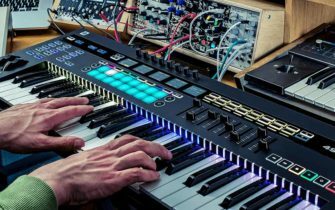 For more information take a look at Nord’s keyboard website.